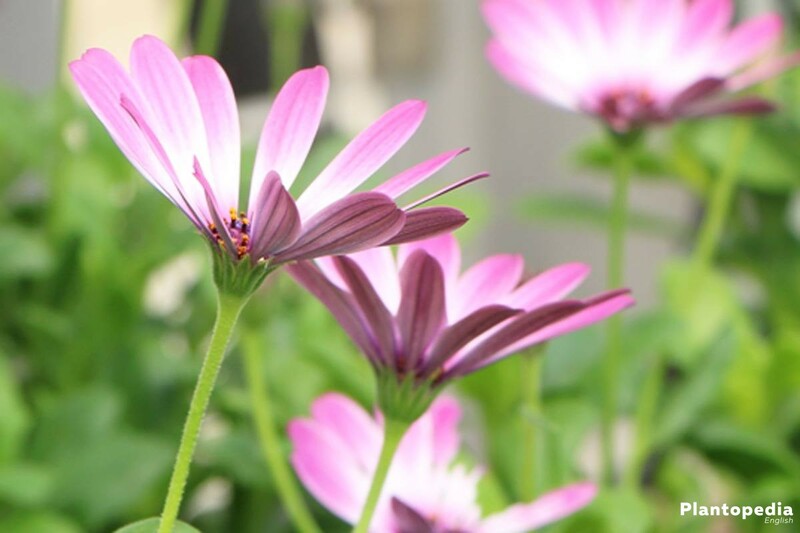 They are magical, the little blossom heads of the Osteospermum. Brightly coloured in purple with dark eye or in the brightest white with the touch of purple they embellish the balcony, the terrace or the garden. This sparkling beauty enchants the garden lovers from May to October; in this long blooming-phase the Cape daisies develop many flowers quite eagerly. If a diverse range of colours is desired, the Osteospermum quickly becomes the focus of attention. With almost indestructible traits, it enchants the gardener with many beautiful flowers. Vibrant colours such as white, purple, violet, yellow or pink set new accents. 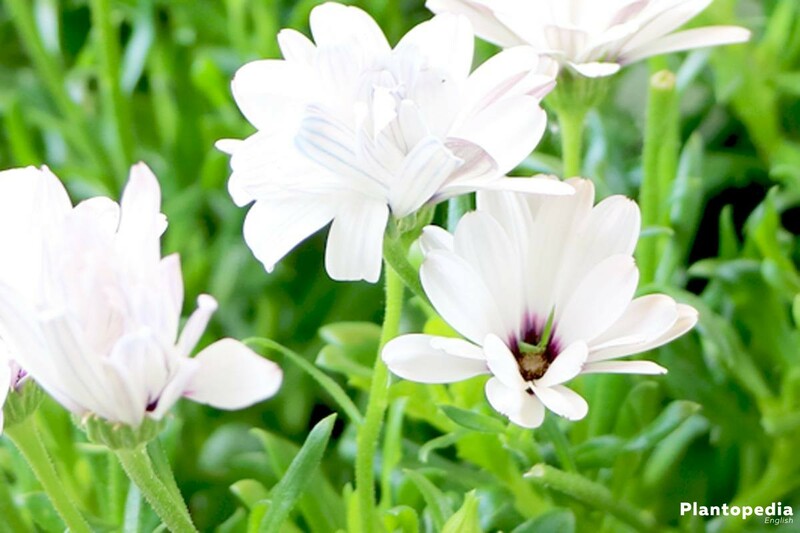 The one-year-old flowers appear particularly beautiful in a group planting. The joy of flowers lasts from May to October. Once planted, they remind, with their floral shape, of marigold or daisies. The name of the sinuata is already pointing to its South African origin. The plant originally originated from Africa loves the sun and warmth. You can therefore choose a wind-protected, sunny place for the Cape daisy. 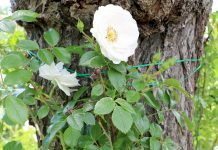 Interestingly, she has her peak of the flowers on the hottest days, and even after a short pause, she appears again with new blossoms. 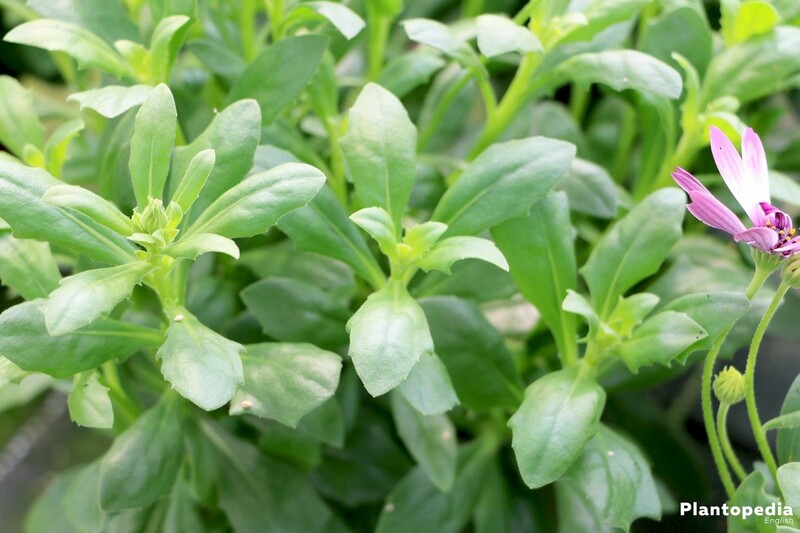 The commercially available plants are annual; with some luck you get with the propagation by cuttings new plants for the next garden year. In a clear care guide we describe the main points for the cultivation of this lovely garden flower. Of course a plant from southern Africa loves the Sun. Where other flowers do not tolerate warmth, the Cape daisy feels very well. The south-facing balcony is ideal for catching many hours of sunshine. A lightweight, sandy soil that allows no waterlogging is ideal. 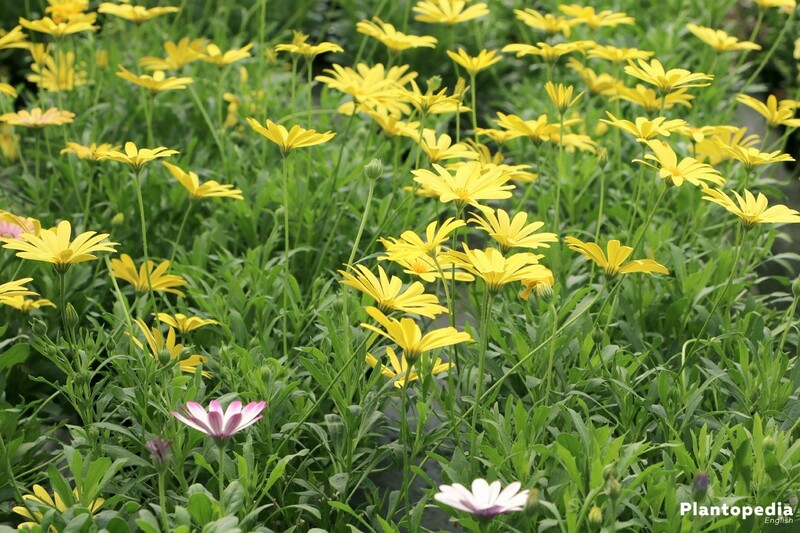 For the Cape daisy to flourish plentifully, an optimum composition of the nutrients in the soil is important. You should avoid waterlogging in any case. Hardly any garden plant likes to stand with the feet in the water. 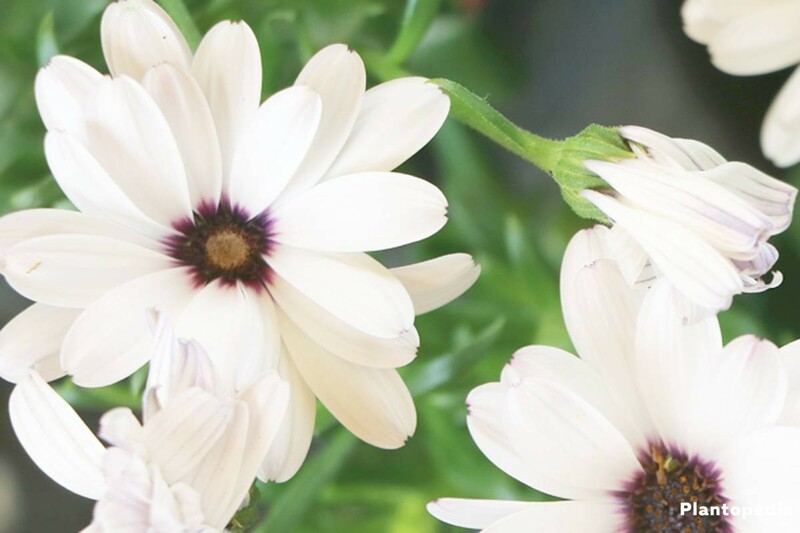 The Cape daisy does not tolerate frost and is therefore usually cultivated as an annual flower. 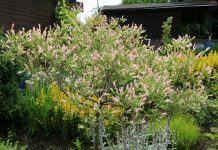 Therefore, the planting in the flower bed should not be done before the end of May. Up to the Ice saints, it still can come to surprising night frosts that the delicate plants would not survive. For your own sowing you can gather the seeds of the flowers or acquire new seeds in trade. The right point in time is March when the days are slowly longer due to the sunlight. The seeds are given individually to a good soil, for example special breeding soil, and are covered with a thin layer of soil. After that, moisten with a water-sprayer. It is ideal if you use a breeding bowl that has a lid. So a good micro-climate develops. After about two weeks the small plants grow. 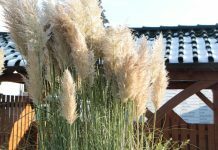 Once they are large enough, they will then be occasionally isolated before they are definitively converted into the garden or the pot. 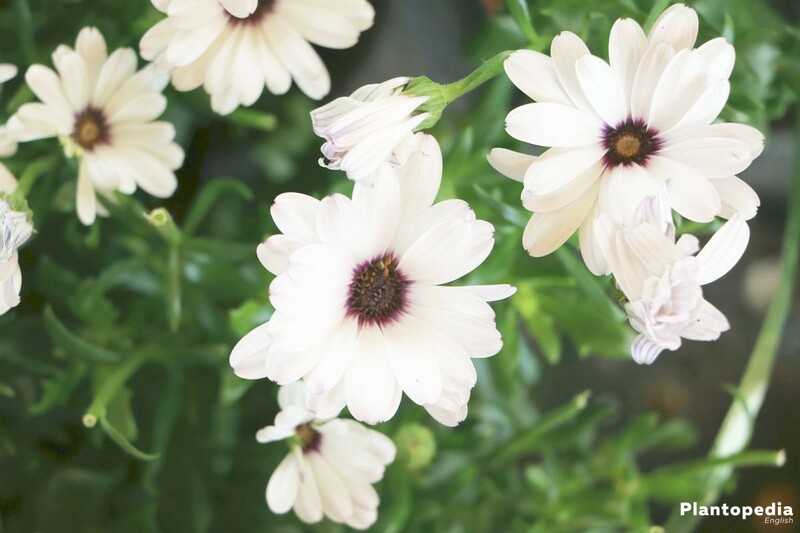 It is much simpler if you buy the Cape daisy of your choice in the spring. Here you can choose a group planting or create individual specimens as a solitary plant. This also applies: Pay attention to any night frosts and bring the delicate plants to the house or other sheltered location, like the greenhouse. Before you plant your beautiful flowers into the flower bed, prepare the planting holes well. Precisely this strain responds very sensitive to waterlogging. Depending on the nature of your soil, you add gravel as the bottom layer into the planting hole. Afterwards, a good dose of humus and a loose soil-sand mixture. Unless you use humus, you should add a long term fertilizer like horn meal. Solid, loamy soil should be loosened by sand implicitly. Then the Cape daisies can be implanted at a distance of approx. 30 cm in a group. Water well and admire the fascinating colour game. 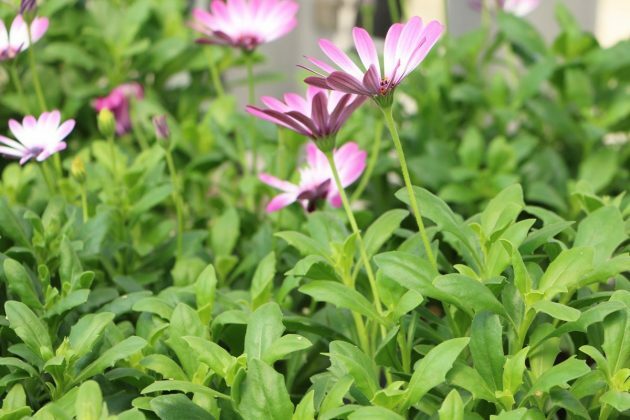 You can also give your Cape daisy to a plant tub. In a colourful group they embellish the balcony or the terrace in a magical manner. 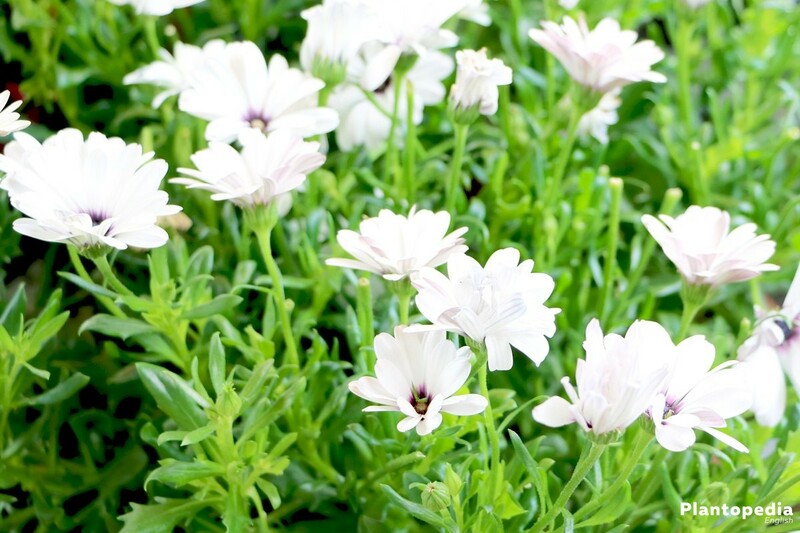 Use commercially common flower soil for this, which you can also enrich with some sand. The bales should have a little more space now. also in the plant tub or flower box, think of drainage! Despite the preference for warmth and even heat, the Cape daisy does not demand tons of water. So water only on demand and in moderation! The floor should be moist, in no case wet. Only water when the top soil layer is dry! The same is true of the plant tub. When water deposits in the saucer, you have already watered too much. Pour it away and water it a little less next time. The magical creatures require a regular supply of nutrients with all their flowers. The best moment is the growth phase. 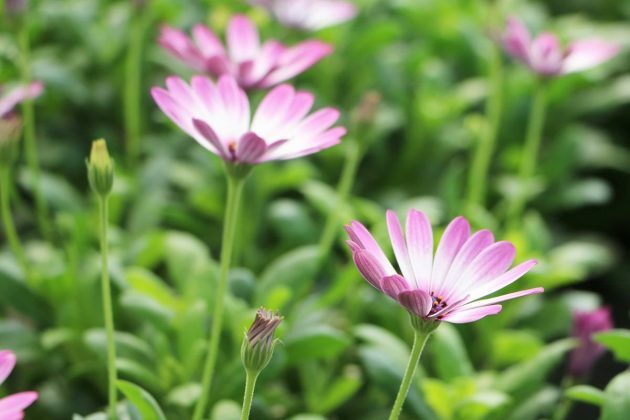 In this time, you give the Cape daisies a dose of some fertilizer every two to four weeks. Pay attention to the manufacturer’s information as the doses of different products vary. In the summer’s biggest heat, the Cape daisy is in a blooming pause. Some garden lovers believe the blooming phase is finished, but this not the case. 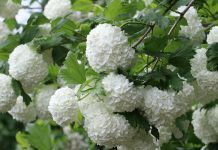 Therefore, in this phase, give it a bit of repose before you will be spoiled ripe with new blossoms in the last summer weeks. Of course such a creature loves cosmetics. This involves cutting the withered flowers. This supports the regeneration of the flowers. After the main bloom in summer, the entire plant can be cut back and perhaps it develops many shoots once again. Gardeners that eager to try out new thing can reproduce the Cape daisy with cuttings to breed their plants. As an annual and at the same time frost-sensitive plant the Cape daisy has a hard ride to survive the winter. However, every experiment makes wise and if they live in climatically favourable regions, such an undertaking can be successful. 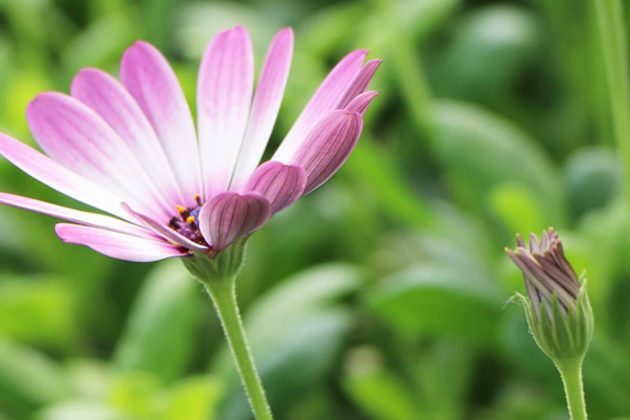 Prepare the hibernation of the Cape daisy in the following way. After the hibernation, the plants are slowly becoming accustomed to the outside temperatures. But first they are cut back to hand height, and then put out for a few hours a day out. Not directly into the bouncing sun, but rather in the shadow. Only in May after the Holy Saints they remain completely outdoors. 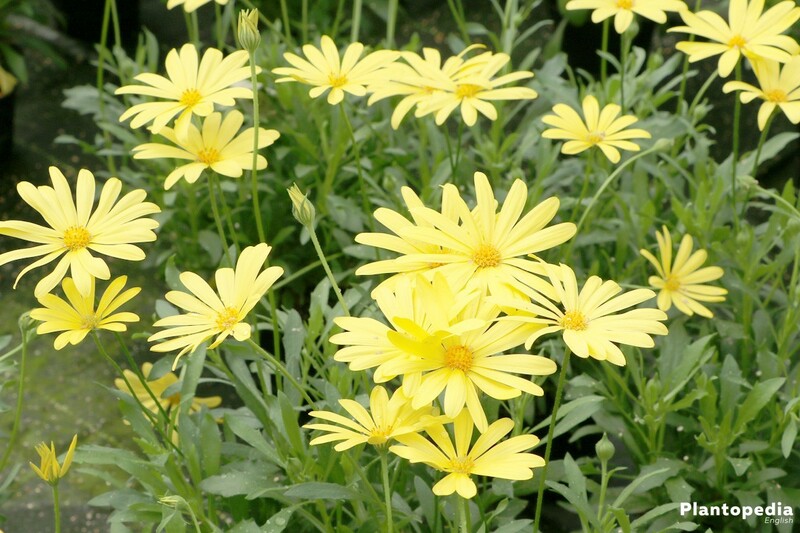 Fortunately, Cape daisies are very resistant plants that are widely protected from pests. 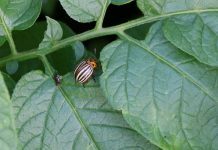 There and again, it can come to a leaf louse infestation which you collect as usual or treat with a soap solution. Diseases are also unknown. When the face too wet conditions, it can lead to rot, in about when the weather conditions are bad and the plants can drown in a lasting rain. 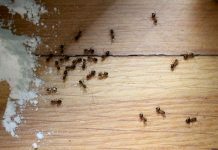 For the same reason it can also come to infestation of mildew. In this case, the infected leaves are immediately truncated. 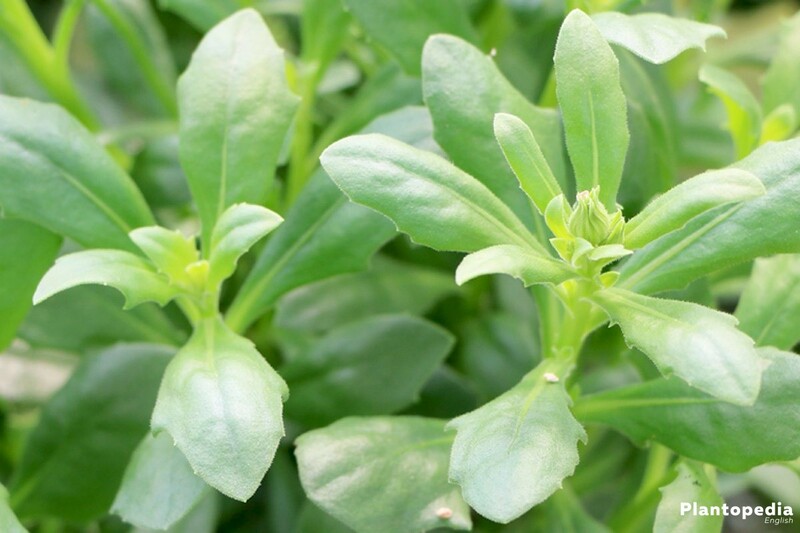 Afterwards the plant is treated with a trade product or a mixture of lime-free water and milk in a ratio of 9:1. Repeat the spraying every two to three days until the Cape daisy is free from mildew.